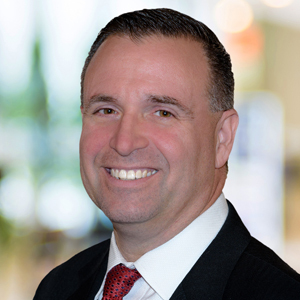 A Q&A With Jim Hraska, Managing Director and General Manager, Fixed Income Clearing Corp.
Jim Hraska joined DTCC as a Managing Director and General Manager for the Fixed Income Clearing Corporation (FICC) in October 2016. He is a long-standing member of SIFMA, where he served as the Government Operations Chair and as a participant in numerous working groups, and the Treasury Market Practices Group (TMPG). He has also served as a senior member of the U.S. Federal Reserve's Tri-Party Reform Task Force. Prior to joining DTCC, Hraska was the global director of Financing Product Management at Barclays. Hraska brings over 25 years experience in the financial services industry to his new role at DTCC. Q: 2016 has been a year of substantial change and market volatility, especially considering the unpredicted outcomes of Brexit in June, and the U.S. presidential election in November. How did FICC handle these peaks? A: Broad geopolitical risks, including the outcome of the U.S. Presidential Election and Britain’s exit from the EU were certainly among top risk events facing the global financial system in 2016. Our peak day in 2016 was Tuesday, November 9th – U.S. Election Day. On that day, the Government Securities Division (GSD) of DTCC processed 376,582 transactions valued at $3.540 Trillion. That amount exceeded our previous record date, the “flash crash” on October 15, 2014, when GSD processed 323,091 transactions valued at $3.399 Trillion. GSD’s automated post-trade processes, which seamlessly clears, guarantees, and settles trade activity significantly reduces risk, which is a vital component for the effective functioning of the Government Securities market, especially in volatile periods. Similarly, with respect to the Mortgage-Backed Securities Division (MBSD), our peak day in 2016 was December 7, where we processed a 41% increase in transaction volume and a 64% in notional size with no interruption in processing or degradation in service or service level agreements. Q: You’ve joined the company at a transformative time for the Fixed Income Clearing Corporation, especially as the Government Securities Division looks to grow buy-side participation. What is the plan to reach this client base? A: GSD has been working for some time on an innovative new service for the buy-side – referred to as, the “Centrally Cleared Institutional Tri-Party Repo ServiceTM” or “CCITTM”. Subject to regulatory approval, the CCIT Service will allow eligible institutional cash lenders to clear and settle their cash lending tri-party transactions with existing GSD members. By doing so, FICC/GSD – the only central counterparty platform in the U.S. that currently clears delivery vs. payment and tri-party repo fixed income transactions – will become the central counterparty to these transactions. This will free up capital and balance sheet for dealer members, which will in turn create market liquidity, lending capacity for the buy-side, and reduce systemic risk. In addition to CCIT, we are expanding our existing Sponsored Membership program to allow all qualified institutional buyer clients of sponsoring banks to have their eligible activity novated to FICC, which will yield similar benefits as described above. Today, only registered investment companies are allowed to participate in FICC/GSD as sponsored members. Q: The MBS Novation project is another operational efficiency that has been greatly anticipated by the industry. Can you provide a status update? A: We are very excited that the MBS Operational Novation project is on track for completion this year, in Q3. Subject to regulatory completion, our clients will face FICC/MBSD as a single counterparty for all their mortgage-backed securities transactions on a daily basis. With a conversion to operational novation and a simplification of the netting and settlement process, we will be able to retire certain inefficient MBSD processing, such as notification of settlement. All products, with the exception of options, will be novated upon being fully matched. The actual development aspect of this initiative is complete, and we’re quickly moving to the testing stage with clients. We have been doing a lot of communication and outreach to clients to get them prepared for testing. Our models show that with the introduction of operational novation, and the efficiencies that it can provide, clients will be able to eliminate up to 55% of their electronic pool notification (EPN) messages resulting in much fewer settlements at the Clearing Banks. If this data is any indicator, we believe the MBS Operational Novation project is poised to create monumental positive change for clients and the industry. Q: What are some other initiatives that FICC is working on in 2017 in response to business trends? A: One significant trend is the demand among capital markets firms for data to address regulatory compliance, operational efficiency and market activity. In the Fixed Income business, we’ve seen an increased interest over the past several years from our clients in analyzing data to help them understand their own needs and behaviors. Mining their transactional data can help clients differentiate products and services to develop a competitive edge. GSD was actually the first in DTCC’s suite of data products sourced from our clearing, settlement, asset servicing and derivatives processing businesses to give firms this unique perspective on trading activities. In partnership with the DTCC's Data Products business, we will continue to help clients access GSD data and structured finance data in faster and smarter ways than ever before, and we are also working on offering an MBSD Data Service in 2017. Another area that FICC has been working on in response to our clients’ demands is a simplification of our fee structure with a focus on notional based risk management pricing. Lastly, we are continually exploring ways to make our processes more efficient for our clients, the market and ourselves. One such example would be the ability to net the start leg of repo transactions. Initial analysis shows that this increase in netting would significantly reduce daily settlement volume for most GSD repo netting members. We are currently analyzing options to make this a reality which may include the use of Distributed Ledger technology.